If any of the conditions listed were found, the drum brake upper return spring requires replacement. If any of the conditions listed were found, the park brake shoes require replacement. If any of the conditions listed were found, the hold down springs, cups, and pins require replacement. 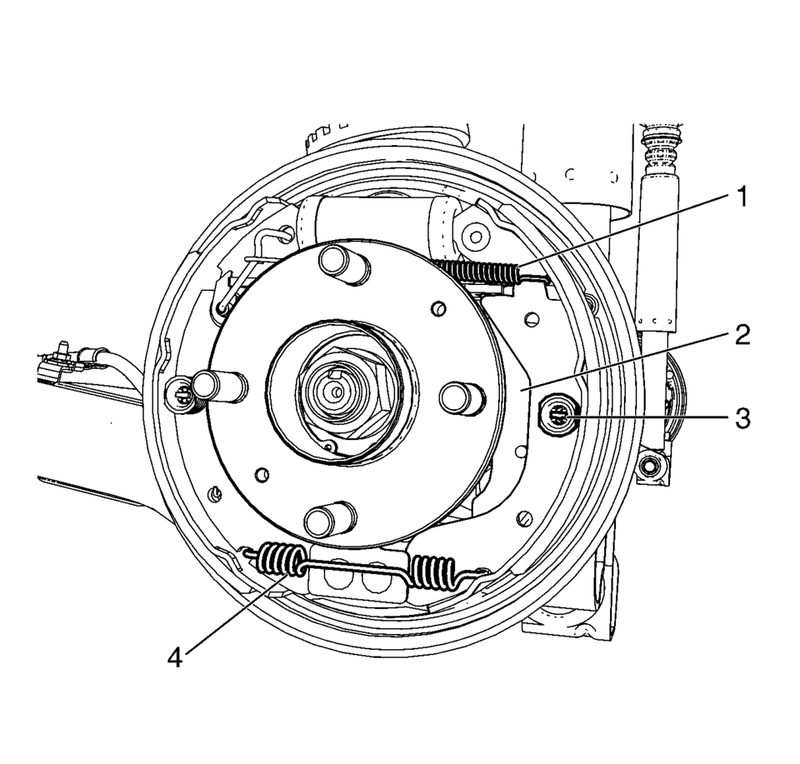 If any of the conditions listed were found, the drum brake lower spring requires replacement.